This workshop will introduce participants to the 1) NZ Fish Passage Guidelines and the new 2) NZ Fish Passage Assessment Tool. The NZ Fish Passage Guidelines were launched in April 2018 and set out recommended practice for the design of culverts, fords, weirs, flood and tide gates to provide for fish passage. We expect the guidelines to set the foundation for the improvement of fish passage management in New Zealand and we consider it crucial that as many NZFSS members as possible are familiar with New Zealand’s first fish passage guidelines. The NZ Fish Passage Assessment tool implements a new standardised protocol for identifying instream structures and assessing the likely impact on fish movements in the form of a freely available mobile app. The app can be used to collect information including the location of the structure, photos of the structure, and information about the type of structure and its characteristics. That information is automatically uploaded to a national database and can be viewed and downloaded from the Fish Passage Assessment Tool website. In this workshop, we introduce a well-known participatory decision support framework based on multi-criteria decision analysis (MCDA) that can be used to support community-inclusive decision-making in freshwater management. The NPS-FM mandates Regional Councils to account for community values in managing freshwaters. However, it gives no guidance on how this complex process should be undertaken. While some councils have already undergone consultation processes, others are currently considering options. 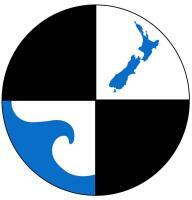 Freshwater collaborative processes require the input of scientists, managers, iwi, locals and industry stakeholders. Many of the NZFSS members will have been involved in such processes and it will be interesting to critically compare the MCDA process with other approaches. Furthermore, many NZFSS members are likely to be involved in such processes in the future and this workshop will give them a deeper understanding of how MCDA operates including its strengths and weaknesses. While NPS-FM implementation to date has tended to focus on rural catchments, a number of regions are now involved in urban implementation projects as well as associated plan reviews and managing the next generation of stormwater and/or wastewater discharge consents. Urban catchments bring a specific range of challenges, from flashy hydrology to metal toxicants, wastewater overflows and concreted channels. The purpose of this workshop is to provide for a discussion of approaches to NPS-FM implementation and freshwater planning and consenting in urban catchments. It will involve learning from the experience of practitioners working on a range of urban freshwater management projects to explore successes, challenges, information needs, knowledge gaps and opportunities for cross-sectoral collaboration. If our waterways are akin to the nation’s lifeblood, then art signifies the pulse of our national heartbeat. Artists play a critical role as change-makers who, in bringing attention to the demise of waterways, spark opportunities for political discourse and collective action. The conference theme is timely and reflexive: what does the condition of our rivers and lakes say about us? The true value of art for New Zealand’s freshwater sciences goes well beyond entertainment or public outreach. ‘Art for freshwater’s sake’ involves the art of questioning that prompts, provokes and pushes us to think, feel and behave as if our future depends on it. Invited artists who will share their work include Bruce Foster, Gregory O’Brien, Jenna Packer, Vicki Smith and Nic Moon.